Criminal justice is a broad system of individual practices focused on upholding social control and preventing or mitigating acts of crime. The criminal justice system attempts to achieve such goals through an institution of laws and penalties for wrongdoings. Those accused of crime, however, are afforded protections against authoritative abuse of prosecution and investigatory powers. The criminal justice system possesses numerous jobs that, although are diverse in function, are tied into the general field of law enforcement. Regardless of the area of focus, all applicants or those interested in pursuing a criminal justice career must obtain relevant degrees and training. Law enforcement agencies will only evaluate applicants who have fulfilled these basic requirements. As a result, the obtainment of a criminal justice degree is, in essence, the starting point required to pursue a criminal justice career. However, if you need legal advice and assistance, contact criminal lawyers. What is a Criminal Justice College? Criminal justice colleges are academic institutions that provide students with particular resources and coursework revolving around the criminal justice field. If an individual is interested in becoming a law enforcement officer, investigator, probation officer, criminologist, lab technician associated with forensics, or a probation officer, they should consider applying to Universities who possess strong criminal justice colleges and programs. Criminal justice colleges will offer students training in the aforementioned fields. This training, which is primarily comprised of mandatory coursework and various examinations, is required to pursue a career in criminal justice. Hiring bodies within the field of law enforcement will tend to pursue those applicants who attended criminal justice colleges. In addition to completing the coursework at a criminal justice college, the individual must also satisfy the particular requirements set forth by the hiring enforcement agency. These requirements typically entail the processing of background checks and the completion of various competency tests. In addition to completing coursework at an accredited University or college, an individual can receive a criminal justice degree online. The first step to obtaining a criminal justice degree online is to decide what type of criminal justice degree you want to pursue. An individual has the option of earning a bachelor’s degree within the field, a degree in criminal science, or a degree in the field of criminal science administration. 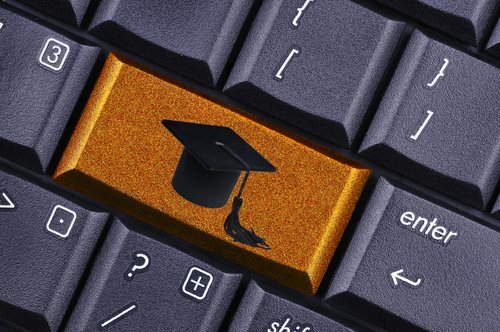 Regardless of the path an individual chooses, each degree can be obtained online. You must decide if you want to earn a 4-year criminal justice degree or a two-year degree. A four-year criminal justice degree online can offer numerous opportunities within the field, while a two-year criminal justice degree online will help prepare you for professions aligned with a legal secretary or paralegal. After you have chosen the type of criminal justice degree, you must pick a program. When choosing the program, be sure that is accredited by the State. Accreditation simply means that the program is supervised by the underlying State and meets all academic standards. An online program will have all necessary classwork in your particular field. Online classes in criminal justice will require you to complete vigorous coursework. Attendance, as well as the satisfaction of terms and examinations, are required to receive a criminal justice degree online. The online coursework will be based on textbooks and will require studies in law, psychology, history, writing skills, and biology. Once you have completed the requirements for the degree, you will be required to demonstrate that you have satisfied and mastered the material in question.